For example, if someone has an overseas account with $1,000,000 and makes 10% every year, but takes out the 100,000 profit every year to sneak it back into the U.S., the account will never grow above $1,000,000 and after 10 years they will have snuck $100,000 each year into the U.S. They will pay an FBAR penalty of $500,000. But, if someone has an overseas account with $1,000,000 and makes 10% every year (or $100,000), but leaves it over there, at the end of 10 years they will have $2,000,000. They will pay an FBAR penalty of $1,000,000. The way they are calculating the penalty is penalizing the people who left their money overseas more than those who engaged in more egregious activity by bringing it back into the U.S. The income tax is the same, but the FBAR penalties are wildly different. You get a 50% discount for worse behavior effectively. Anonymous raises a good issue, so I encourage readers to weigh in on it. 1. The same phenomenon, although less exacerbated, applies to the settlement initiative that ended 10/15/2009. That penalty was 20% of the highest amount for the years 2003 forward. 3. As I recall (and I am fuzzy on this), the IRS implemented the penalty in the settlement initiative in a way that would include in the penalty base cash movements of funds from the offshore account to some other offshore investments (e.g., real estate or diamonds or gold held in some medium other than a financial account). Thus, for example, in Anonymous' example above, if instead of bringing the annual $100,000 income back into the United States, the taxpayer had invested the annual $100,000 in offshore real estatewith no U.S. reporting requirements, I understand that the IRS was prepared to assert that the entire $2,000,000 amount ($1,000,000 base amount plus 10 transfers of $100,000 each) is included in the base. (This does not consider any "earnings" on the funds moved out of the offshore account.) I have not had any clients with this pattern, so I cannot speak definitively to what the IRS did. 5. On the other hand, if the assumption in #3 is not correct, then it is only the presence of the funds in an offshore account subject to the FBAR reporting requirement that is the concern and, logically, there is no difference between the use of the offshore and onshore use of the funds outside the offshore account and the same result should obtain -- the proper base for any penalty is only the amount in the offshore account. The risk that came home to roost in the UBS investigation was that a tax haven banker might disclose bank data to a tax authority. (By bank data, I include both documents and information that might be in a banker's brain.) Disclosure might be a crime in Switzerland and expose the banker to prosecution in Switzerland. But the banker may have strong inducements (threat of prosecution or even whistleblower rewards). (I don't know whether the country receiving and using such data would be morally or legally required to extradite such a fellow, but suspect that sufficient "outs" could be found to protect him from extradition.) The newspapers have reported that Birkenfeld, the UBS banker who disclosed such information in order to avoid (unsuccessfully) criminal prosecution or mitigate the consequence of criminal prosecution has also claimed a whistleblower reward for the taxes, penalties and interest the Government has derived from his disclosures. Recent reports are that France and Switzerland have settled the spat, with France agreeing to return the data to Switzerland. I suppose that means that the French will not use the data. For a report of the settlement, see here. Criminal tax lawyers know that, after their job is done, whether successful or not, the IRS usually comes after the defendant / taxpayer to collect taxes. Usually, the IRS waits -- perhaps not patiently -- while the criminal proceeding plays out. But once the criminal case is over, the IRS gets in gear. For tax procedure enthusiasts, the Tax Prof Blog links to a good discussion of the IRS's use of the tax lien at The Tax Lawyer Blog entry for Joe Francis Sues IRS For Wrongful Collection Action – UPDATED. I recently blogged on the subject of "Civil Penalties in the Mix - the Qualified Amended Return Gambit." I discussed the use of the qualified amended return to pre-empt the IRS's ability to assert a penalty in a Son-of-Boss case where the taxpayer did not accept the Son-of-Boss settlement initiative. Today I write about another gambit to contest the IRS's penalty assertion in a Son-of-Boss case where the taxpayers did not enter the settlement initiative. Neither of these topics are technically federal tax crimes issues. 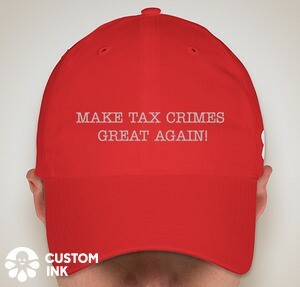 Federal tax crimes practitioners do, however, often involve themselves with the civil procedure aftermaths or adjuncts of criminal investigations, and the Son-of-Boss transactions had criminal allegations swirling around them. In Olesen v. Commissioner, T.C. Memo. 2009-307, the Olesens did not join the settlement initiative, so the IRS issued a notice of deficiency asserting the tax and the full bore § 6662(h) penalty. (It could have been worse had the IRS asserted the civil fraud penalty, although there is no reason to believe -- other than perhaps the Government's expansive imagination -- that any taxpayers, Olesen included, were actually guilty of fraud.) The Olesens did not pursue the qualified amended return gambit and did not file a petition in the Tax Court in response to the notice of deficiency. (There is some question as to whether they received the notice, but all the law requires for a valid notice of deficiency is that the notice be sent, not that it be received; hold that thought, though.) So, as happens when a notice of deficiency is not petitioned to the Tax Court, the IRS assessed the tax, penalty and interest, and in due course, after the taxpayers failed to pay, sent them a Notice of Determination Concerning Collection Action(s) Under Section 6320 and/or 6330, often referred to as a determination notice. This gave the Olesens a right to seek Collection Due Process ("CDP") review first in IRS Appeals and thereafter, if not satisfied, in the Tax Court. The Olesens pursued CDP review. Upon the CDP review, the Appeals Officer determined that the Olesens had received the notice of deficiency and therefore could not contest the underlying the underlying merits of the tax, penalty and interest in the CDP proceeding. § 6330(c)(2)(B) (Note here that, for CDP review of the merits, the taxpayer's receipt of the notice is required to foreclose CDP review of the merits, whereas the notice itself is valid when sent). The immediate issue in the Tax Court was whether the Olesens could introduce evidence of the settlement initiative, going to the merits of the penalty. This raised the predicate issue of whether the Olesens were entitled to contest the merits of the penalty, an issue they had lost in the IRS Appeals CDP review. We agree with the Appeals officer that the record establishes that petitioners received a deficiency notice for 2001. Respondent issued the deficiency notice to petitioners' last known address as provided on their returns for 2004 and 2005. Furthermore, respondent's production of a certified mail list recording the mailing of the deficiency notice creates a strong presumption that the notice was mailed and was delivered or offered for delivery at the address to which it was sent. Receipt of the deficiency notice is presumed in the absence of clear evidence to the contrary. Petitioners failed to produce evidence to rebut the presumption that they received the deficiency notice. In fact, petitioners' counsel's concessions during the CDP hearing further support the Appeals officer's determination that petitioners received the deficiency notice. Accordingly, we find that petitioners received a deficiency notice for 2001 and are therefore precluded from introducing evidence of the Son of BOSS settlement initiative to challenge the underpayment penalty. The take-away lessons from this and the earlier blog are: (i) don't ignore the notice of deficiency without a plan where the risks / costs are acceptable, (ii) if the Olesens thought the CDP review and Tax Court CDP case would be their "hail-Mary" equivalent of the qualified amended return, they were wrong, (iii) if, however, they knew the risks of the "hail-Mary" CDP gambit and the risks were tolerable, then perhaps it was not a bad try, although it befuddles me how they thought they were going to win the issue with the minimal showing made, and (iv) in all events, the taxpayers have a fall back way to contest the liability in the traditional refund suit, if needed using a variation of the partial payment gambit to avoid the strictures of the Flora prepayment rule, or perhaps even in a collection suit. This morning, the Sixth Circuit offers a good elementary refresher course on the relationship between the elements of a tax crime requiring willfulness, on the one hand, and good faith, on the other. Indeed, I have contrasted them as if they were different inquiries, they are not as this case reminds us. In United States v. Aaron, 590 F.3d 405 (6th Cir. 2009), over a 4 year period, the defendant had casino gambling winnings on at least 965 occasions (no report on his losses) and submitted at least 965 false W-2G's to the casino. From this pattern, the defendant was charged with (i) a single § 7212(a) tax obstruction count, (ii) 17 counts § 7206(1) tax perjury, and (iii) 4 counts of causing a domestic financial institution to file a report containing a material misstatement of fact under 31 U.S.C. § 5324(a)(2). Defendant's defense was that he signed the false W-2Gs at the center of all counts in order to prevent identity theft rather than cheat or mislead the IRS. The Government dropped the last set of counts -- (iii) above. The jury acquitted on the tax obstruction count and convicted on all 17 § 7206(1) tax perjury counts. Any person who willfully makes and subscribes any return, statement, or other document which contains or is verified by a written declaration that is made under the penalties of perjury and which he does not believe to be true and correct as to every material matter shall be guilty of an offense. The Supreme Court has held that, in criminal tax cases, "the statutory willfulness requirement is the 'voluntary, intentional violation of a known duty.'" Cheek v. United States, 498 U.S. 192, 201 (1991) (quoting United States v. Pomponio, 429 U.S. 10, 12 (1976)). In order to prove willfulness, the Government must prove "that the law imposed a duty on the defendant, that the defendant knew of this duty, and that he voluntarily and intentionally violated that duty." Id. The showing of willfulness can be negated by "a defendant's claim of ignorance of the law or a claim that because of a misunderstanding of the law, he had a good-faith belief that he was not violating any of the provisions of the tax laws." Id. at 202 (emphasis added). The defendant's belief or misunderstanding need not be objectively reasonable, and whether it was held in good faith should be determined by the fact-finder. Id. at 202-03. I write today on a civil penalty, one of the accuracy related penalties in § 6662. You will recall that the IRS had great angst about the Son-of-Boss tax shelters. For a simplified explanation of how this shelter works, see here. The Government / grand jury have indicted some of the enablers for such shelters, and those indictments have been the topic or background for many of my posts. Taxpayers not participating in the settlement will receive a statutory notice of deficiency (90 day letter) disallowing all losses and out of pocket costs and will be assessed maximum applicable penalties. Note the cautionary warning of assessment of maximum applicable penalties. Of course, the maximum potentially applicable civil penalty is the 75% civil fraud penalty in § 6663. In Bergmann v. Commissioner, T.C. Memo. 2009-289, taxpayers (husband and wife) not participating in the special IRS settlement initiative instead filed an amended return reversing all the tax benefits that the IRS thought was abusive, and paying the tax and interest accordingly. The IRS swooped in and asserted the 40% gross valuation misstatement penalty under § 6662(h). The taxpayers claimed that the amended return was a qualified amended return under Regs. § 1.6664-2(c)(2) and filed a motion for the Tax Court to render summary judgment on that issue. A "qualified amended return" is an amended return filed after the due date of the return for the taxable year and before the earlier of certain events. See sec. 1.6664-2(c)(3), Income Tax Regs. At issue here is whether petitioners filed the amended return before respondent contacted "any person described in section 6700(a)" concerning examination of a section 6700(a) activity from which petitioners directly or indirectly claimed a benefit on the original return. See sec. 1.6664-2(c)(3)(ii), Income Tax Regs. If respondent contacted such a person concerning such an activity before petitioners submitted the amended return, then the return would not be a "qualified amended return," and the accuracy-related penalty may still apply. The parties disagree whether KPMG is a "person described in section 6700(a)." We now turn to that issue. We have carefully considered the materials the parties submitted in connection with petitioners' motion for summary judgment. We are unable to conclude, on the facts presented to the Court at this juncture, whether KPMG qualifies as a "person" under section 6700(a) and thus, whether petitioners' amended return is a "qualified amended return." We find genuine issues of material fact remain concerning this issue. See Sala v. United States, 552 F. Supp. 2d 1167, 1204 (D. Colo. 2008) (the relevant inquiry is whether the third party was contacted regarding the taxpayers' particular transactions). These material facts include those respondent noted in his response to petitioners' reply memorandum. Specifically, factual disputes exist whether KPMG is a "person described in section 6700(a)," and if it is, whether and when respondent first contacted KPMG concerning promotion of tax shelter transactions with respect to which petitioners directly or indirectly claimed tax benefits on the original return. These material facts need to be further developed before the Court can determine whether the amended return is a "qualified amended return." Accordingly, petitioners are not entitled to summary judgment on this issue. I present this case in this Federal Tax Crimes Blog to remind practitioners of the qualified amended return opportunity to correct erroneous positions by amended return. A qualified amended return is an amended return filed after the original due date of the return (determined with extensions) but before any of the following events: (i) the date the taxpayer is first contacted for examination of the return; (ii) the date any person is contacted for a tax shelter promoter examination under § 6700; (iii) as to a pass-through entity item, the date the entity is first contacted for examination; (iv) the date a John Doe Summons is issued to identify the name of the taxpayer; and (v) as to certain tax shelter items, the dates of certain IRS initiatives published in the Internal Revenue Bulletin. § 1.6664-2(c)(2). The daily grist of a tax practitioner's mill is the new client who, from conscience or otherwise, wants to get right with the IRS after filing one or more fraudulent or at least incorrect returns. The standard advice (barring some most unusual wrinkles), after determining that the taxpayer is not under investigation, is to have him or her file amended returns for some number of years (that a different blog discussion). Anecdotally from my practice over many years and my discussions with others, the amended returns will almost invariably not draw any penalty because the IRS will have no reason to believe that they are not qualified amended returns. The IRS will have to launch an investigation which, given its allocation of limited resources, it might not do with an amended return in hand that likely corrects all material problems (or at least the ones that the IRS could find on audit). And, even if the IRS were to launch an investigation, in most cases the only way the IRS can avoid the penalty-neutralizing effect of the amended return as a qualified amended return is to allege that the original position on the return is fraudulent. See § 6664(c)(2). The IRS has to prove fraud by clear and convincing evidence and given that burden will often not have any incentive to deploy its investigative resources to build a fraud case in order to assert an accuracy related penalty. In most cases, even in cases where the taxpayer in fact may have committed fraud on the original return, the system will simply pass him by. And, you will note that the IRS does not assert fraud in the Bergmann case as a basis for disqualifying the amended return as a qualified amended return. As I tell my students, when a client walks in with this profile (one or more fraudulent or potentially fraudulent or just incorrect prior year returns), your job is very limited. Get him to an accountant and get the amended returns filed ASAP. Yesterday, two practitioners and myself had a lively discussion about the decision in United States v. Elmes (S.D. FL 2009 - No. 0:09-mc-61726, dated December 17, 2009) involving summons enforcement. The blog and the comments may be viewed here. That discussion centered around the court's rejection of the witness's Fifth Amendment privilege. The decision that was the focus of the discussion was entered by the court on December 17, 2009. As to some key points of interest, that December 17 opinion we were discussing was a bit cryptic. Today, in Lexis-Nexis, an earlier opinion (dated December 7, 2009 appeared. United States v. Elmes (S.D. FL 2009 - No. 0:09-mc-61726, dated December 7, 2009). This December 7, opinion may be viewed or downloaded here. This newly published (but prior) opinion adds a lot of flavor to yesterday's discussion.
. In the past ten years, have you resided out of the United States for periods of six months or longer?
. How much cash do you have on hand that is not included in a bank account?
. What personal bank accounts do you have? Respondent did not invoke her Fifth Amendment privilege in response to the above questions and instead she provided the Court with answers. Therefore, the Respondent is directed to also provide such information to the IRS. In addition, Respondent should provide the IRS with all documents in her possession related to the above questions.
. Do you have an employer?
. Who is your husband's employer?
. What is your employer's address, work telephone number, occupation and number of years with current employer?
. What is your husband's employer's address, work telephone number, occupation [*16] and number of years with current employer?
. Are you a party to any lawsuits?
. Do you anticipate any increase or decrease in your income?
. Are you the beneficiary of any trust, estate or life insurance policy?
. Do you have any bank accounts in foreign countries?
. Do you own any investments, like stocks, bonds, mutual funds, stock options, certificates of deposit, IRA accounts, PO, 401k plans?
. Do you have any credit cards?
. Do you have any credit cards in foreign countries?
. Do you have any life insurance policies?
. In the past ten years have any assets been transferred by you to someone else for less than full value?
. Do you own, rent or lease any real estate?
. Do you own or lease any vehicles?
. What personal assets do you own including furniture, personal effects, artwork, jewelry, collections, antiques or other assets?
. What is your monthly income and what is the source of that income?
. What are your total living expenses?
. In the event you are self-employed, what is the name of your business?
. Does the business engage in E-commerce, internet sales?
. Does your business have credit cards?
. What credit cards does your business accept?
. How much cash on hand does the business have?
. What business accounts do you have?
. What accounts receivable does your company have?
. What business assets do you have?
. What is the business's total monthly income and total monthly expenses? Respondent invoked her Fifth Amendment privilege and declined to answer the twenty-seven questions listed immediately above. The Court concludes that Respondent does not have a valid Fifth Amendment privilege with respect to these twenty-seven questions for two reasons. First, these questions relate to Respondent's current financial situation. At the August 26, 2008 interview, the Revenue Officer explained that the purpose of the interview was to determine Respondents' "ability to pay what you owe on the income taxes for the years 2000 and 2001." Exhibit 1 to DE 4 at 12:19-21. The Summons relates to Respondent's nonpayment of her 2000 and 2001 taxes. Therefore, information regarding the Respondent's current financial status does not provide a real and substantial hazard of criminal prosecution. See United States v. Redhead, 194 Fed. Appx. 234, 236 (5th Cir. 2006) ("The documents requested by the IRS pertain only to Redhead's asset holdings, and thus, are not inherently incriminating in nature. "); United States v. McMillian, 2007 WL 646952, *3 (M.D. Fla. Feb. 27, 2007) ("But asking him about his current assets for collecting on his past due obligations does not implicate the Fifth Amendment's self-incrimination protections.") (emphasis in original). Second, Respondent invoked the same, blanket reason to justify her invocation of the Fifth Amendment for each question. In essence, Respondent's argument is that there is a real hazard of criminal prosecution because the IRS will "lie" and "twist" any information provided by Ms. Elmes in a future criminal prosecution. The Court finds that this justification is speculative. Respondent may not rely on a general distrust of the IRS to refuse to comply with an otherwise valid summons. Moreover, Respondent invoked a similar justification each time she asserted the Fifth Amendment. Invoking the same, generalized fear twenty-seven separate times is no different than asserting a blanket claim of self-incrimination. Accordingly, the Respondent is directed to provide answers to the IRS for the twenty-seven questions noted above. In addition, Respondent should provide the IRS with all documents in her possession related to the above questions.
. Why didn't you file tax returns for the years 2002 through 2007?
. Do you plan on filing those returns? With respect to these two questions, the Court finds that Respondent properly invoked the Fifth Amendment. By responding to these questions, Ms. Elmes may provide information which could lead to a criminal prosecution for failure to file tax returns for the years 2002 through 2007. An attorney in Ohio has been charged "with fifteen counts of aiding and assisting in the preparation of false and fraudulent tax returns that related to five different trusts; one count of willfully failing to file a report of foreign bank and financial accounts; one count of conspiracy to commit obstruction of justice; one count of witness tampering; one count of submitting a false statement; and one count of obstruction of justice." Another attorney in Ohio has been charged with a one count charge, coupled with a guilty plea, for making a false statement to federal agents and to DOJ. The DOJ Tax announcement is here. This is mundane stuff except, of course, for the current hot topic -- offshore accounts. Projecting from the announcement, it appears that the charge for the failure to report on the FBAR is just icing on the cake in the charges and is unlikely to affect sentencing so long as the tax Guideline applies. See here. CAVEAT: This blog and the excellent comments from readers below should be read in conjunction with a follow-up blog here. In a Q&A session such as a summons interview or grand jury session, witnesses may assert a Fifth Amendnment privilege only as to questions the answers to which might have a tendency to incriminate them. That is to say that there are questions that do not implicate the privilege and must be answered. Practitioners advising witnesses must be careful to properly assert the privilege and not to inadevertently allow answers that should be within the privilege. That is a bit dicey in grand jury proceedings where the attorney is outside the grand jury room, and the witness must stop the grand jury questioning in order to consult with his or her attorney. But the key issue for this blog is what answers would tend to incriminate the witness. A recent case develops the issue quite nicely. In United States v. Elmes (S.D. FL 2009 - No. 0:09-mc-61726), the IRS issued a summons for the taxpayer's testimony and documents. The summons was issued in aid of collection of 2000 and 2001 income taxes that were already assessed; the IRS needed to develop facts relevant to the taxpayer's current financial condition and ability to pay. At the ensuing Q&A session, the witness declined to answer the majority of the questions, asserting First, Fourth and Fifth Amendment privileges. The IRS brought a summons enforcement case. The court held two hearings, and at the second hearing evaluated the witness's claim of privilege on a question by question basis. The court held that, except as to 2 questions, the witness's assertion of privilege was improper and ordered her to answer. 3. Section 7210, providing a criminal penalty for failure to comply with a summons, is not a basis for a Fifth Amendment claim; all the taxpayer has to do is comply with the summons by producing documents and answering the questions (subject to proper assertions of privilege) to avoid that criminal possibility. 4. The potential for committing perjury in the summons enforcement proceeding is not a valid Fifth Amendment claim. Due to the nuances of the applicable law, it is important for the Court to specify exactly what issues are being decided. The Court finds that Respondent cannot rely on a generalized fear of the IRS to invoke her Fifth Amendment privilege to avoid providing information regarding her current financial ability to pay outstanding tax liabilities from 2000 and 2001. That Respondent may face future criminal prosecution if she decides not to comply with the Summons or because she will not pay civil penalties is insufficient to withhold current financial information, which is not incriminating. The Court acknowledges that a different analysis will apply if the United States uses any information provided by Ms. Elmes in response to the Summons for a criminal prosecution unrelated to her 2000 and 2001 liabilities. This is not a fishing expedition. The IRS is seeking basic financial information that millions of American taxpayers voluntarily provide to the government each year. Most of those with no more prompting than an April 15th deadline. Whether Ms. Elmes pays her taxes is ultimately an issue to be resolved between her and the IRS. While the Court respects Respondent's right to present a good-faith and vigorous defense on her own behalf, the Court also expects that the Respondent will comply with this Court's Orders once a decision has been made. Failure to do so will subject Ms. Elmes to possible sanctions such as the imposition of costs and incarceration separate and apart from her issues with the IRS. Practitioners need to anticipate and attempt to mitigate potential professional or licensing issues that may arise as a result of a tax crimes conviction. I present an object lesson of such consequences. In the within matter, while there are some mitigating factors, we find aggravating factors vastly more compelling. Specifically, while at his law firm and receiving a substantial income, respondent purchased a five bedroom house in New Jersey and a four bedroom house in Florida. He also owned a Lincoln Town car, a Nissan Mini Van, a BMW SUV, and paid for his children to attend private school. In addition, respondent lied to his wife by telling her that tax matters had been taken care of and did not notify his partners of the pending criminal investigation before resigning from the firm to take a position as president of two corporate entities engaged in energy operations in the Philippines. According to the Hearing Panel, his failure to inform his law partners was to insure collection of full compensation and early capital account distribution. We agree with the Hearing Panel's finding that the psychiatric claim is not credible. While respondent's extensive pro bono work on behalf of defendants facing the death penalty and his dedication to his alma mater is commendable, it does not excuse his failure to file returns or pay taxes during this time. Although respondent has paid all the taxes owed to the State, and has worked out a plan with the Internal Revenue Service, the picture that emerges is that respondent, without any justification, and while enjoying a lavish life style, disregarded his tax obligations. Having considered all of the factors set forth above, we find, as we have found in Matter of Goldman decided herewith, that failure to file tax returns and pay taxes for an extended period of time in these circumstances warrants suspension. A law.com article on the matter is here. Booker now gives the sentencing court considerable discretion to vary from the Guideline Sentence calculation. In tax cases, such variances are usually defendant-friendly -- i.e., the sentencing court sentences below the Guidelines range. If the Government is unhappy with the downward variance and appeals, the court of appeals will give considerable deference to the sentencing judge in the application of 18 U.S.C. § 3553(a). This works in reverse as well -- i.e., the sentencing court can impose an above-Guidelines sentence that will receive considerable Booker deference on appeal. See particularly United States v. Tomko, 562 F.3d 558, 564, 567 (3d Cir. 2009) (en banc). An above Guidelines sentence does not happen often in tax cases, but it does happen. Finally, Evans argues that the District Court improperly relied on the two civil tax suits filed by Evans against the United States in its consideration of the 18 U.S.C. § 3553(a) factors. This is Evans' only complaint regarding his sentencing; he does not challenge the calculation of the Guidelines range or the Court's consideration of the § 3553(a) factors in general. We review the District Court's sentence for reasonableness under an abuse of discretion standard. United States v. Tomko, 562 F.3d 558, 564, 567 (3d Cir. 2009) (en banc). "Where, as here, a district court decides to vary from the Guidelines' recommendations, we 'must give due deference to the district court's decision that the § 3553(a) factors, on a whole, justify the extent of the variance.'" Id. at 561 (quoting Gall v. United States, 128 S. Ct. 586, 597 (2007)). The Guidelines range was 15 to 21 months. The District Court imposed an above-Guidelines sentence of 36 months. It discussed at length the factors set forth at 18 U.S.C. § 3553(a). We do not think it was improper for the Court, in evaluating those factors (including the nature and circumstances of the offense), to consider that, despite several courts' unequivocal rejection of Evans' claims that his income was not subject to taxation, Evans continued to violate the law. The Court noted Evans' disrespect for the court process, his disdainful interactions with IRS agents, the need for him genuinely to appreciate the authority of the law, and the need to deter the public. We have no hesitancy in concluding that it rationally and meaningfully considered the § 3553(a) factors, and the sentence of 36 months was reasonable in this case. In a Santa Ana, Calif., court last week, federal Judge Cormac Carney dismissed the criminal complaint charging Mr. Samueli with lying to the Securities and Exchange Commission in its investigation of whether Broadcom misstated its earnings by improperly accounting for executive stock options. Judge Carney's dismissal came even though Mr. Samueli had stood before him in 2008 and pleaded guilty to that very crime. Mr. Samueli did what lawyers and legal scholars fear a disturbing number of other people have done: pleaded guilty to a crime they didn't commit or at least believed they didn't commit. These defendants often end up choosing that route because they feel trapped in a corner, or fear getting stuck with a long prison sentence if they go to trial and lose. I have previously blogged on facets of this matter here. The major aspect of the problem is the combination of the Government's virtually unlimited charging decisions permitting the piling or stacking on of counts and the large amounts involved in some white collar crimes. The defendant is at risk of major incarceration if he does not plea and, as in Samueli, may be convinced that he is guilty when he is really not in order to make the required allocation. I obvserved this phenomenon in the KPMG criminal case. The defendants through their own alleged conduct and Pinkerton conspiracy concepts faced draconian Guidelines calculations driven principally by the alleged tax loss. Pre-Booker that was a major problem that the Government sought to exploit by offering a plea first to two counts and then to one. The Government forced out one guilty plea while sentencing was in flux. Even after Booker, the problem was only mitigated by the discretion given judges, because they started with the Guidelines calculations. Fortunately, as in the broadcom case, Judges can mitigate that Government's abuse of power in forcing plea agreements. For Samueli, the Judge simply overturned the guilty plea. In KPMG criminal tax case, the Judge sentenced David Rivkin to one year of probation, using the Booker discretion to effectively nullify all but the collateral consequences and stigma of the guilty plea. This item is a bit late in the cycle of tax crime news, but I thought I would post it anyway as a resource for readers since the issue may arise in later cycles of offshore account advice and maneuverings. Readers will recall that 18 U.S.C. § 3506 requires that U.S. persons contesting in a foreign country a U.S. request to that foreign country for information must notify the Attorney General of the foreign proceeding. Readers desiring further information on this issue will find a good resource on the web in the form of a Pillsbury Winthrop Shaw Pitmann LLP memorandum from Stephan E. Becker to Michael Leupold and Suzanne Kuster dated 9/6/09. The memorandum is here. Although the agent never mentioned charitable contributions, and provided him with no evidence whatsoever of any such contributions, he included $2,190 in cash ontributions to charity and $495 in non-cash contributions to charity on the agent's return. As a result, the agent's tax return showed that she was entitled to a $12 refund, instead of reflecting that she owed $1,012 in additional taxes. Subsequently, the agent requested a meeting with Poltonowicz to discuss a letter she received from the IRS informing her that she would be audited. Again, the agent wore a recording device. He admitted to the preparation of a false tax return and that he included the false deductions to save her from paying additional taxes (as he operated under the assumption that she would not be audited). He reassured her that she would not get in trouble for the fraudulent return. Of that subset of tax returns, the government included only those that contained one of the methods of falsifying tax returns established at trial, such as fictitious cash and non-cash charitable contributions, employee non-reimbursed expenses, and claims of eligibility for the earned income tax credit. The government filtered that subset to include two types of returns: (1) returns for which the IRS had conducted an audit and had subsequently assessed the taxpayer with additional tax liability based on the tax payer's inability to substantiate their return, or (2) returns for taxpayers interviewed, who confirmed that they did not provide any evidence of the deductions at issue or request that they be included. The estimate of $419,853.20, in the manner calculated, was actually under inclusive. The district court relied on evidence presented at trial and the sentencing hearing to reach its conclusion. The government established the modus operandi -- preparing tax returns with fictitious data for charitable contributions, employee non-reimbursed expenses, and claims of eligibility under the earned income tax credit. It did not err in including tax returns in the tax loss calculation which had been subject to and had failed an audit by the IRS, even if the government did not interview the tax payer. Poltonowicz is on audiotape informing a potential client that he knew exactly how to claim fictitious deductions without getting caught. Indeed, the evidence suggests a much larger tax loss. He personally prepared 20,000 to 25,000 tax returns, yet the government calculated its tax loss based on just 225 of those returns. One former employee testified that at least 25% of the returns Poltonowicz filed contained fictitious deductions. The government excluded from its calculation any returns that were prepared by employees, even though several employees testified that he directed them to add fictitious deductions to the returns they filed. On average, 50-54% of returns claim charitable contributions; whereas, 98% of Poltonowicz's clients claimed such deductions. Notably, his clients uniformly claimed to donate in one of three precise amounts: $490, $495, and $500. Poltonowicz also challenges the government's calculation of additional losses by comparing his average claims for certain deductions, such as the charitable deduction, with that of the national average. He asserts that it was improper to compare his clients to the national average because his clients were not average tax payers; rather, his clients consisted of blue-collar, religious, conservative tax payers who were far more likely to make charitable contributions than the average tax payer. He makes a similar argument with respect to the government's comparative information on employee non-reimbursed expenses. These arguments lack merit. The District Court did not rely on the government's comparative data in reaching its conclusion that the tax loss exceeded $ 400,000. The District Court based its conclusion on the audited returns and mentioned the additional statistical evidence in noting that the government's calculation was extremely conservative. There is no error with a District Court's consideration of statistical evidence in a case involving upwards of 20,000 tax returns. This type of estimation would appear to be appropriate under the Guidelines in setting a reasonable minimum tax loss for sentencing purposes. There is a related, but quite different, issue of whether anything less than actual proof of a substantial tax loss due for purposes of the evasion element of tax due and owing is appropriate in the case in chief. I have previously argued in my blogs in the context of criminal prosecutions of tax enablers where the taxpayers are absent such estimations are not appropriate. 1. General. The general statute of limitations is 3 years. § 6501(a). 2. 25% Omission. In the case of a 25% omission of income, the statute of limitations is 6 years. § 6501(e). Many of the shelters exploited basis overstatements which, the cases have held, do not invoke this section, but the IRS may have put the quietus on those holdings by Regulation. See T.D. 9466, 2009-43 I.R.B. 551. 3. False Return. "In the case of a false or fraudulent return with the intent to evade tax," the statute of limitations is unlimited. § 6501(c)(1). 4. Willful Attempt to Evade Tax. "In case of a willful attempt in any manner to defeat or evade tax," the statute is unlimited. § 6501(c)(2). I focus here on the third and fourth exceptions – principally the third – because the IRS imagines many of these abusive shelters -- the poster child being Son-of-Boss in its various iterations -- as fraudulent and somebody in the mix among the enablers and taxpayers had fraudulent intent to evade tax and thus necessarily willfully attempted to evade or defeat tax. In Allen v. Commissioner, 128 T.C. 37 (2007), here, the Tax Court held that a tax return preparer's fraud would invoke the unlimited period of limitations in § 6501(c)(1) even if the taxpayer had no fraudulent intent. The court applied what it called a plain meaning interpretation of the statutory language quoted above. The question in the case of fraudulent tax shelters is whether the taxpayer's standard defense that other professionals were involved so that he or she lacked fraudulent intent will avoid the application of the unlimited statute of limitations. Of course, the Government imagines that the taxpayers (or at least most of them who were not comatose) intended to defraud the Government of tax, but has not chosen so far to indict the taxpayers. I hear that the Government simply missed or did not timely pursue many of the abusive tax shelters within the applicable period -- 3 years or 6 years, as appropriate. Can the Government now pursue these shelters under an unlimited civil statute of limitations inspired by the Allen decision? Although certainly not authoritative, the Tax Notes publication of Allen was under the caption "Limitations Period Extended Regardless of Who Commits Fraud." I think a more technical analysis would get there also under Allen. On December 1, 2009, Michael Parker pled guilty to one count of Klein conspiracy in a tax shelter scheme using the ubiquitous tax shelter trademark -- an acronym, in this case SLOTS for Sale Leaseback of Tenant Improvements Strategy. According to the DOJ press release for the original indictment in October, two parties were indicted -- David Haynor, an accountant/tax partner with KPMG, and Jon Flask, a lawyer. Parker, COO of a "tax-advantaged investments company," was named in a contemporaneous criminal information and entered a plea agreement. The original DOJ Tax press release is here. According to the plea agreement and statements made during the hearing before United States District Judge Sandra S. Beckwith in Cincinnati, Parker admitted to conspiring with Daryl Haynor, an accountant who was a tax partner at KPMG LLC, in its Tysons Corner, Va., office, and Jon Flask, an attorney for TransCapital, who was a partner at a law firm in Vienna, Va., to defraud the IRS with regard to tax shelter transactions. Parker admitted that he was both a CPA and an attorney, but acted as the Chief Operating Officer of TransCaptial Corporation. In October 2009, Haynor and Flask were indicted for conspiracy to defraud the IRS and for corruptly endeavoring to obstruct and impede the due administration of the internal revenue laws. According to the plea agreement and statements made during the hearing, from 1998 through 2006, Parker, Haynor and Flask marketed and implemented a tax shelter to KPMG clients called the Sale Leaseback of Tenant Improvements Strategy (SLOTS), which enabled various U.S. corporations to claim tax deductions totaling more than $240 million on corporate income tax returns filed with the IRS. During 2002 through 2004, the IRS audited three U.S. corporations that had claimed losses generated by SLOTS transactions, including The Kroger Company. Parker identified Kroger as the Fortune 500 corporation which did the largest SLOTS tax shelter transaction, and which claimed over $178 million in loss deductions, causing over $64 million in tax loss to the IRS. Parker admitted that he, Haynor and Flask conspired to impede and impair the IRS by making false and misleading statements to IRS agents and attorneys during these audits, including the Kroger audit. Additionally, Parker admitted that he, Haynor and Flask concealed certain aspects of the tax shelter transaction from SLOTS clients, including Kroger, for the purpose of impeding and impairing the IRS. Parker further acknowledged that the SLOTS tax shelter and related transactions were themselves nothing more than devices to disguise and conceal mere financing transactions. A recent tax shelter civil case presents a fact pattern that should be considered by criminal tax attorneys. In Palm Canyon X Investments LLC v. Commissioner, T.C. Memo. 2009-288, decided 12/15/09, the court rejected the claimed tax benefits for a variation of a Son-of-Boss transaction that exploited what some practitioners imagined was offered by the Helmer decision. I have blogged previously on Helmer (see here), so want digress on Helmer in this blog. (I do note that the Court in Palm Canyon deferred addressing whether the Helmer claim was technically sufficient, because it decided the case based on lack of economic substance, and meted out penalties accordingly.) What I want to focus on is the taxpayer's consideration of the shelter transaction. The individual, one Hamel, behind the TEFRA entity (Palm Canyon) had a lot of tax to shelter, of course (a given in this type case). (As an aside, the individual was married to Suzanne Sommers aka Suzanne Somers, an actress featured in the advertisements for the Thighmaster, the cash cow generating the need for shelter.) The infamous Notice 2000-44, 2000-2 C.B. 255, was issued on August 13, 2000. This pretty much put the quietus on Son-of-Boss deals. KPMG, for example, throttled back on its variations after this notice. Nevertheless, some did not quite get it. In 2001, the taxpayers' CPA began looking for shelter for Hamel and latched onto two promoters more than willing to accommodate the need by presenting "high end tax products for big losses." We call such products tax shelters. The promoters discussed "foreign markets and foreign currencies." (Apparently a variation of the FX shelter and certainly a kissing cousin to BLIPS, but both relying on the perception of magic in Helmer.) Although I was not familiar with the promoters (the Skyline Group and their lawyers, Cantley & Sedacca, LLP), the others quickly joining the adventure, Deutsche Bank AG and Craig Brubaker, were active players in the abusive tax shelter market. Hamel's CPA had the initial reaction that the proposed Son-of-Boss strategy was "too good to be true." But, the CPA then reviewed a "tax opinion by the law firm of Bryan Cave, LLP." Bryan Cave is a national law firm of some general good repute. But, as I have noted elsewhere, a distinguishing feature of this round of tax shelters was that the brand name law firms which eschewed participating in earlier rounds of tax shelter excesses were attracted to and did lend a hand in this round drawn by the siren song of fees directly proportional to the mega tax needing shelter this round. Taxpayers then instructed their CPA to contact Kenneth Barish an attorney with a well known local tax firm. The CPA faxed Barish his notes of his review of Bryan Cave's penalty discussion. Barish then investigated the promoters, including hiring a private investigator. (Notwithstanding, the Court later says that "Barish conducted only a superficial investigation of the parties involved.") Barish then reviewed the Bryan Cave opinion. Through 2001 none of the Hamel [taxpayers’] companies operated a business or owned any manufacturing, storage, or sales facilities in a foreign country. In 2001 the Hamel companies' international activities consisted primarily of sales through the Internet. The Hamel companies also ordered a significant portion of the materials used to make their products from Asia and had some of their products manufactured there. None of the Hamel companies' businesses had any contracts due in 2001 or 2002 that required payments in foreign currencies. Additionally, Thighmaster had no direct or indirect ownership interest in any foreign entity or bank account and paid no foreign taxes. Following [certain meetings], Mr. Lamb [the CPA] recommended that Mr. Hamel proceed with the proposed MLD transaction. Mr. Barish noted that the MLD strategy represented an "aggressive tax opinion" that worked "from a technical standpoint", and he recommended creating a paper trail memorializing discussions concerning offshore expansion and currency transactions before executing the MLD strategy. On October 4, 2001, Thighmaster held a management meeting for which Herb Schmidt, Thighmaster's chief financial officer (CFO) and director of operations, prepared a memorandum regarding "Business Opportunity/Business Plan" and Jim England, Thighmaster's president, prepared a memorandum regarding International Marketing". The memoranda recommended expanding the Hamel companies' business operations into foreign markets and outlined potential strategies. n21 Around this time, Mr. Hamel decided to proceed with executing the MLD transaction. n21 The only recommendation contained in the memoranda that the Hamel companies implemented in 2001 was a recommendation in Mr. Schmidt's memorandum related to measures designed to guard against foreign currency fluctuations. Do the readers see any issues in this fact pattern? There are many analogs as to this type of advice that I have encountered over the years. The classic is perhaps documenting future business plans in order to mitigate the possibility of an accumulated earnings problem. (Of course the one that practitioners studiously avoided in the old contemplation of death days was having a donor write a letter to a donee stating the "This gift is not in comtemplation of death.") The question, of course, is what the practitioner can do to create a contemporaneous paper trail that may, particularly in hindsight, be viewed as other than a straightforward recounting of the truth. Although the judge does not say so explicitly, I infer that the judge had some concerns about the action. I have previously blogged here comparisons of UBS and the Swiss banking system general as engaged in a form of piracy. (The Swiss are not the only pirates, of course, but the Swiss are in the news now.) Today's WSJ reports here another form of piracy, or at least assisting foreign clients stay under the U.S. radar screen with their financial activities. This is not specifically a tax issue, although I suspect that some U.S. tax was avoided in this current round of shenanigans. But it is just amazing to me how a citizenry of a civilized country can think that it is its right -- a right fueled by greed -- to assist others commit crimes or hide the fruits of crimes. I don't mean to indict all Swiss citizens, but it is like the holocaust crimes: enough of the German citizenry knew this was going on and chose to close their eyes. I guess also to put this in context, this is the same bunch that tried to make off with holocaust victims' deposits. See here and here. I picked this item up from the White Collar Crime Prof Blog here. The item is not not a federal tax crimes item but I include it because federal tax crimes is a subset of white collar crime generally and the genre of conduct in this item is seen in tax cases (most notably the United States v. Stein case which I have discussed previously here). The professor and litigator made me post this item from the WSJ Law Blog that is not a tax crimes item, but reminds those of us who play in this area that writing is important. The WSJ Law Blog had this article on rules of writing issued by federal bankruptcy judge Kressel in Minnesota. His first guideline is not about writing style but is a pet peeve of mine. He first requires submission of proposed orders in pdf electronic format generated from the word processor rather than produced by scanning. In the guidelines, he reminds the lawyers to write as they would speak and cut out the superfluous. That ought to be a no brainer, but I routinely see lawyers filing documents that are scanned rather than computer generated and also get scanned documents in other contexts. And, of course, the Law Blog refers to the venerable standard for clear writing -- Strunk & White, The Elements of Style -- stating the standard "Omit needless words." There are so many iterations of this book, so I refer you by link to the Amazon search of Strunk & White here. Strunk & White, of course, do not give the last word on good style, but they sure give a good first word. 1. "Every estate tax return is reviewed by hand for audit potential." I presume that "by hand" means visually reviewed rather than just handled by hand. 2. Include relevant documents with the return. 3. Provide substantiation for claims with the return rather than awaiting an audit. 4. Be sure and report previous gifts, because the IRS associates gift tax returns with the estate tax return. I suppose he means that discrepancies can be caught, so it is important from an audit potential standpoint to address this up front. All of these "tips" although appearing rather mundane are really intended to lessen the chance that the IRS will audit the estate tax return. In that sense, they may at least in theory come within the scope of potential criminal activity, particularly if there is some aggressive item reported in the return that the additional disclosures or even the neatness are intended to divert attention. I don't think the particular items here really could turn into a problem alone, but packaged with other bad facts could be part of the ambiance of a tax obstruction charge. Matthew Krane, a tax attorney, who took a large, very large kickback on a large, very large client investment in an allegedly abusive / criminal Quellos tax shelter has pled guilty. The announcement from USAO EDWA is here and a Law.com article with more of the background than in the USAO announcement is here. I do not have a copy of the plea agreement so some information provided in this blog is incomplete and may be updated when and if I get the plea agreement. I previously blogged the larger indictment of Krane and two others involved with Quellos here. The gravamen of the claim against Krane, a tax attorney is that he received a kickback, perhaps shared with the two other defendants, of some 35 million + on the sale of the shelter designed to shield over $1 billion in gain realized by one of his clients. Quellos and its principals designed the shelter. Krane did not advise his client of the kickback. 2. As to the remaining defendants (Wilk and Greenstein), Krane will assist the Government in making its case. May not be a pretty picture for them. The trial is tentatively scheduled for September 2010. 4. Two primary concerns stand out from today's argument: (1) all justices expressed unease with identifying what sort of "bad conduct" is covered by the statute in the absence of any meaningful guidance from Congress; and (2) the Solicitor General's proposed test is not going to sufficiently narrow the statute. No one, in fact, seemed particularly inclined to adopt the SG's interpretation of the statute. At one point, Justice Breyer suggested that 140,000,000 people throughout the country had probably violated the honest services law as the SG described it, by fibbing to an employer in order to do something his or her boss wouldn't like. Justice Scalia described a similar scenario in which an employee tells the boss he is going to work hard all afternoon if the boss leaves him alone, but makes this misstatement so the boss will go away and he can sit at his desk and read the racing form. The government had a very hard time explaining why this conduct would not fall within the statute as it had defined it, and ultimately suggested that prosecutors wouldn't bring those sort of cases and/or jurors wouldn't convict. That answer did not engender a positive response. No one seemed comfortable with leaving such broad, undefined discretion in the hands of prosecutors and juries. I discuss this genre of concern in my article on the tax obstruction crimes -- John A. Townsend, Tax Obstruction Crimes: Is Making the IRS's Job Harder Enough?, 9 Hous. Bus. & Tax L.J. 260 (2009). The article may be reviewed or downloaded here, and the related online appendix may be reviewed or downloaded here. Two prominent cases discuss this concern in the context of the defraud conspiracy (the Klein conspiracy in a tax setting): Hammerschmidt v. United States, 265 U.S. 182 (1924) and United States v. Caldwell, 989 F.2d 1056, 1058 (9th Cir. 1993). If this concern continues into the decisions in the pending Supreme Court cases, we might see some real and very helpful restrictions on the Government's imagination as to the expansive scope of the tax obstruction crimes. Stay tuned! Update on 12/12/2009: I refer readers to Tom Kirkendall's Houston Clear Thinkers discussion here of Jeff Skilling (Enron fame) SCOTUS brief on honest services fraud and recommend readers with the inclination substitute Tax Obstructions Statutes for the Honest Services Statute. Frightening! It is nice to know that our Congressmen are on the watch. Here is a press release from Congressman John R. Carter, R-Texas, on his new bill titled the Geithner Penalty Waiver Act. The Act would impose the same penalty rate for persons joiniing the special voluntary disclosure program as imposed on Timothy Geithner, the Secretary of Treasury. The rhetoric is interesting; seems to me more for political theater than being a serious proposal. The Stanford Group maintain offshore financial accounts for its investors / depositors. It is thus not surprising that DOJ Tax is seeking that information via a John Doe Summons. Here is the press release. More business for the tax enforcers and for the lawyers who assist taxpayers caught up in the mess. According to the preliminary internet chatter, the investors who already feel aggrieved think -- or at least assert -- the Government is piling on. These taxpayers with offshore Stanford accounts already had the opportunity to join the special voluntary disclosure initiative which ended 10/15/09. This bunch who have lost much or all of their offshore investment (at least those who did not pull out before the end) may truly not have anything left to make the type of payments required under the earlier initiative, much less any more onerous amounts that may be required of late comers. There is a good recent article on the important tax / white collar crime case of United States v. Stein, 541 F.3d 130 (2d Cir. 2008), here. The article is Christopher McNamara, How the Decisions in Favor of the Stein Thirteen Will Affect the Litigation of Corporate Crime and Department of Justice Policies and Expand the Sixth Amendment Right to Counsel, 78 Fordham Law Rev. 933 (2009). The article is available here. The following is from the introduction. Footnotes, except for identfying the author, are omitted. The U.S. Court of Appeals for the Second Circuit became the first appellate court in nearly thirty years to uphold the dismissal of criminal indictments for a Sixth Amendment right-to-counsel violation. United States v. Stein is a unique case that intertwines constitutional interpretation, constitutional remedies, white collar crime, and U.S. Department of Justice (DOJ) policy. The immediate effects of the Stein decisions not only reflect the changing attitudes at the DOJ on how to prosecute white collar crime but have simultaneously caused the DOJ to implement such changes. As the Sixth Amendment has developed and augmented, so has the interpretation of remedies when there is a right-tocounsel violation. This Note explores the Stein decisions in light of existing doctrines, and concludes that while certain parts of the decisions are legally sound, other parts—right or wrong—may present direct challenges to existing jurisprudence. Some readers may be interested in this post here by Duane Morris, a national law firm, on the status of the IRS' offshore account initiative. I think the material in the post is quite good and recommend it to my readers. Those of us who practice in this area are currently facing a number of inquiries by UBS account holders (as well as other foreign account holders) who did not get into the program. The iniquiries are most acute for those UBS account holders who have been notified that their account information will be turned over to the IRS. The Duane Morris post discusses this circumstance at the end of the linked page, but I quote the relevant part below. I note that the context is the traditional IRS voluntary disclosure and the requirement that the voluntary disclosure be timely. How can these restrictions on "timeliness" of a disclosure impact taxpayers with offshore accounts in the current environment? This question may present concerns in the context of the U.S.-Swiss Treaty Request. The request is directed at U.S. account holders, and in some cases account records have already been produced to the SFTA for a determination on whether the account information should be roduced in response to the Treaty Request. Some customers have been notified that their accounts appear to be within the scope of the Treaty Request. If a taxpayer receives this notification, is it too late to make a voluntary disclosure? • The days of "silent" or "stealth" voluntary disclosure appear to be over. Given the protocol for making a disclosure under the OVDP (i.e., direct contact with and disclosure to the IRS) taxpayers will be unable to find comfort in simply filing an amended return and paying the bill—as was frequently the practice before the OVDP was announced. • The scope of the civil penalties that will be imposed under traditional voluntary disclosure are stiffer than those imposed by the OVDP. Traditional-disclosure taxpayers face civil-fraud penalties of as much as 75 percent of the additional tax liability versus 20 percent under the OVDP. FBAR penalties can also amount to as much as 50 percent of the account value for multiple years, as opposed to 20 percent of the highest value of the account for a single year. Experience shows however that negotiation of these penalties may still be possible. 1. I agree that the traditional voluntary disclosure program should still be available generally for foreign account holders. 2. I think also that, provided that there is prompt voluntary disclosure before the SFTA delivers up the names and provided that there are no most unusual wrinkles, the IRS will provide the benefit of the voluntary disclosure program - no criminal prosecution. As noted, of course, the expectation is that the civil penalties imposed (an income tax penalty and an FBAR or in lieu of FBAR) will be higher than available under the special program ending 10/15/09. 3. I speculate that the range of the FBAR or in lieu of FBAR penalty will be from 20% for the highest year (the amount available under the program) and 50% for the highest year (the amount that has been imposed in the criminal cases that have pled to date). In this regard, I wonder whether an IRS attempt to impose a larger penalty, particularly where the income is legal income, not subject to forfeiture, and the amount of income tax evaded is relatively low may have some potential for violating the Constitution's prohibition against excessive fines. See United States v. Bajakajian, 524 U.S. 321 (1998). 4. I wonder whether, unless the IRS makes some public announcement, the days of the quiet disclosure are over. See my earlier discussions of quiet disclosure here. I doubt that it is in the IRS or the country's interests (hopefully they are the same) to shut off (or discourage) quiet disclosures even with respect to foreign bank accounts. Of course, when the CI agent at the service center reviews the amended return reporting foreign bank account income or the delinquent or amended FBAR reporting or correcting reporting for foreign accounts, the process might turn noisy, but I would hope that the IRS would not start criminal prosecutions against those taxpayers who in good faith opened the kimono via amended returns and delinquent or amended FBARs. I just think the IRS (and the country) has more to lose than gain from that tactic. Of course, where the taxpayer has not been totally forthcoming on the amended 1040s or delinquent or amended FBARs or doesn't participate cooperatively in any investigation that may follow, the IRS may decide to launch a full bore criminal investigation and prosecution, but where squeaky clean full and fair quiet disclosures occur, I think it would be counterproductive to do that. But, hay, that's not my call and my skin is not in that game, so these are nothing more than speculations and perhaps idle ones at that. Here's some irony. The New York Times reports today here that Bradley Birkenfeld, a former UBS banker who was convicted as an enabler for U.S. tax cheats, may get a substantial whistleblower reward. (For my other posts on whistleblowers, see here) According to the post, he is seeking at least several billion dollars. We see no reason why state tax evasion, when proven to be sufficiently similar to the convicted crime, should not be included in the § 2T1.1 calculation of "tax loss." At the outset, we note that the four circuits that have considered this issue have held that state tax offenses may be included with state tax evasion in the total loss calculation. 16 The Fourth, Fifth and Sixth circuits, in particular, interpret U.S.S.G. § 1B1.3(a)(2) as allowing state tax evasion totals to be included with federal tax evasion amounts where there was a "common scheme or plan" and the same "course of conduct" for the state and federal offenses. The plain language of Application Note 2 [to S.G. § 2T1.1] requires that a sentencing court factor relevant conduct into a total tax loss calculation. Thus, contrary to the defendants' suggestion, no ambiguity exists as to whether relevant conduct is to be considered in calculating § 2T1.1 tax losses. In determining whether state tax evasion constitutes relevant conduct, we look to the commentary to § 1B1.3. Section 1B1.3 provides specific factors to be considered in determining whether certain conduct was part of a "common scheme or plan" or the "same course of conduct." "For two or more offenses to constitute part of a common scheme or plan, they must be substantially connected to each other by at least one common factor, such as common victims, common accomplices, common purpose, or similar modus operandi." See U.S.S.G. § 1B1.3 cmt. n.9. "Factors that are appropriate to the determination of whether offenses are sufficiently connected or related to each other to be considered as part of the same course of conduct include the degree of similarity of the offenses, the regularity (repetitions) of the offenses, and the time interval between the offenses." Id. In United States v. McElroy, ___ F.3d ___ (1st Cir. 2009), the Court discusses summary evidence and charts. I am interested in this topic because of my participation in the massive KPMG related criminal trial, billed as the largest tax fraud case in history. The Government prosecuted 19 defendants involved in the creation and marketing of allegedly abusive tax shelters to many taxpayers over several years. For discovery, the prosecutors produced "over 22 million documents regarding the doings of scores of people." United States v. Stein, 541 F.3d 130, 157 (2d Cir. 2008). Before the court dismissed 13 of the defendants, the Government listed for trial 1987 “marked exhibits” with 39,000 pages and 3000+ so-called “compilation exhibits” with 89,000 pages. The prosecutors described the compilation exhibits as “tax returns, closing agreements and revenue agent reports relating to these [tax shelter] transactions." It was not entirely clear that the prosecutors were going to have those unmarked compilation exhibits formally admitted into evidence en masse (logistically, how exactly do you do that if they are not marked?). It was clear, though, that the prosecutors were going to offer a summary witness to testify as to the compilation exhibits but not submit the compilation exhibits to the jury. I think the principal focus of the summary testimony and charts (presumably there would be one or more) would have been to establish the tax due and owing element of the tax evasion charges in the case, as well as the object of the offense conspiracy charge and perhaps even the object of the Klein conspiracy charge. Before the pretrial skirmishing focused on evidentiary problems inherent in what the Government proposed to do, my client and 12 others were dismissed, so I am not sure what happened in the trial (4 eventually went to trial). On November 20, the Fourth Circuit entered an unpublished decision in United States v. Under Seal & John Doe, 2009 U.S. App. LEXIS 25523 (4th Cir. 2009). The issue was whether the district court properly applied the crime fraud exception to the attorney client privilege, thus permitting the Government to subpoena an attorney's files. The attorney is referred to in the opinion as Counsel. In 1997, the president of the Corporation established another entity in the Isle of Man ("the Isle of Man Entity"). Two of the Corporation's three directors, one of which is the Corporation's president, were directors of a corporation also established in the Isle of Man ("the Isle of Man Corporation"), which is the trustee of the Isle of Man Entity. Between 1997 and 2000, the Corporation transferred $ 22,523,478 of its assets to the Isle of Man Entity. In 2000, the Corporation dissolved after filing Articles of Termination and Articles of Dissolution with the proper state authorities. Prior to the Corporation's dissolution and continuing thereafter, the Internal Revenue Service (IRS) conducted an audit of the Corporation. During the audit, the Corporation's president [*3] told the IRS that the transfers from the Corporation to the Isle of Man Entity were made pursuant to opinion letters from several law firms that these transfers were legal. One such letter, which was written by Counsel, was provided to the IRS. Counsel's letter stated that a qualified United States charitable corporation can legally make a grant to a charitable organization in another country so long as the funds are used for charitable purposes. The IRS audit of the Corporation concluded with a finding of "no issue raised." Back to the case, a grand jury investigation started, and a grand jury subpoena issued. After some sparring and an earlier appeal and remand, the district court held that the Government had established the applicability of the crime fraud exception. The district court based its holding on the ground that the U.S. charitable corporation's return was incorrect, thus potentially violating § 7206(1), in showing no relationship between the U.S. charitable corporation and the Isle of Man charitable corporation. The invocation of the crime-fraud exception requires a prima facie showing that "(1) the client was engaged in or planning a criminal or fraudulent scheme when he sought the advice of counsel to further the scheme, and (2) the documents containing the privileged materials bear a close relationship to the client's existing or future scheme to commit a crime or fraud." In re Grand Jury Proceedings # 5, 401 F.3d at 251 (citations omitted). A party invoking the crime-fraud exception can satisfy the first prong of this test by making a prima facie showing of evidence, which, if accepted by the trier of fact, establishes the elements of an ongoing or prospective violation of the law. Id. The second prong of this test is satisfied with a showing of a close relationship between the withheld communications and the alleged violation. Id. Once a sufficient showing has been made, the attorney-client privilege ceases to protect any of the communications related to the alleged violation. In re Grand Jury Subpoena, 419 F.3d 329, 345 (5th Cir. 2005) (citing In re Sealed Case, 676 F.2d 793, 812 n.74, 219 U.S. App. D.C. 195 (D.C. Cir. 1982)). In its ex parte submission, the Government has provided the court with prima facie evidence that the Corporation, its principals and the Isle of Man Entity had an agreement to defraud the United States Government in contravention of § 371. The Government's submission provides prima facie evidence that the Corporation and the Isle of Man Entity entered an agreement to defraud the United States both by concealing the ultimate disposition of the Corporation's funds through the transfer of assets overseas and by using the Corporation's tax-exempt status to circumvent the collection of taxes on the profits of individuals. Such a purpose falls directly within the confines of § 371. The transfer of $ 22,523,478 to the Isle of Man Entity would be an overt act in furtherance of this purpose. The Fourth Circuit then closed or tightened the noose by holding that the close relationship to that potential violation had been shown. Things do not look good for the attorney. As expected, the Swiss Federal Tax Administration has started the disclosure of information and documents to the IRS. See here. In United States v. Hardy, ___ F.3d ___ (6th Cir. 2009), the defendant was convicted of twelve counts of bank fraud and five counts of evasion arising out of an embezzlement from her employer. On appeal, the defendant asserted that the court had improperly denied her the right to use evidence in her defense. The circumstances were that the defendant had the evidence but delayed providing it to the Government under the reciprocal discovery rule in FRCrP 16 which gives the district court some discretion in fashioning the remedy for violation of that rule. Disclosure under Rule 16 does not depend on the admissibility of the evidence at trial, particularly because decisions on admissibility of evidence are entirely within the province of the court, not the parties, so the parties would not be able to accurately determine prior to trial whether certain evidence would be admissible without a ruling from the court. If the defendant has control over a document, as Defendant did in this case, and plans to use that document in the defendant's case-in-chief, as Defendant attempted to do in this case, and the defendant has already received discovery from the government, then the defendant is required to disclose the document to the government as soon as the defendant learns of it, subject only to the narrow exceptions in Rule 16, none of which is applicable here. Fed. R. Crim. P. 16. Defendant clearly chose not to comply with Rule 16, and thus suffered the consequences provided for in the Rule. The Court also had some interesting statements which, taken out of the whole context, might be troublesome. For example, quoting an earlier case, the Court said [a]lthough the right of a defendant to present exculpatory evidence is fundamental, it is not absolute." The Court did go through some interests of justice qualification, but the statement itself is a tough one. The Court ended its discussion with its assessment that the defendant would have been found guilty anyway (the old harmless error dodge). "The government's case against Defendant was overwhelming and at trial Defendant admitted all of the elements of each offense." Even if that were true, I don't know that it justifies making about what the jury would have done had it had all the evidence relevant to a defense. There may be two casualties in this case -- the client in the case in chief who was convicted if the evidence might have led to acquittal and the lawyer in the aftermath of the case unless the lawyer can prove that the client participated in the decision to violate the reciprocal discovery rule.